Where does the time go? We'll soon be saying "hello 2015" and poor old 2014 will be nothing but a distant memory. But, there's still time to get out and enjoy London and, to that end, right on cue comes the November list of things to do. Before I get into the list, can I just take a moment to draw your attention to the wonderful photo that adorns the top of this month's list? It was taken by Photographer Sean East from the top of Canary Wharf and shows an absolutely stunning bird's eye (or should that be Sean's eye) view of the East End of London. In fact, Sean won a national photographic competition with this image. Don't forget that I also post updates on our Facebook page when I come across something that I think might be of interest, so you might like to join us and like us (as in Facebook likes!) 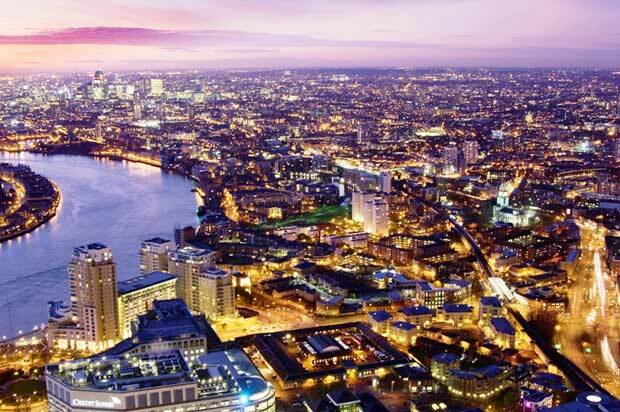 to ensure you're kept fully informed of what's going on in London throughout the weeks ahead. Indeed, I'm currently researching a Christmas event that may well be of interest to the Downton Abbey fans amongst you. As ever, if anything changes on the list, I will place the update on the Facebook Page, that way I won's be bombarding you with emails. For colourful pageantry you simply can't beat the Lord Mayor's Show, which takes place on the second Saturday in November each year. 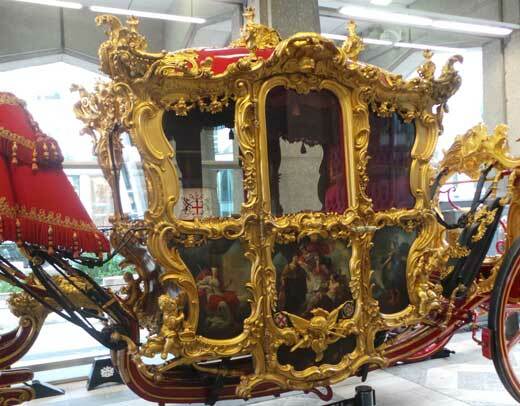 This is the day when the new Lord Mayor, Alan Yarrow, will be shown to the citizens of London by being taken around the streets in the Lord Mayor's Coach, accompanied by a vibrant and colorful procession consisting of over 7000 participants. Just to give you some idea of the sheer scale of the procession; there will be 20 bands, 150 horses, hundreds of other carriages, carts, coaches and other vehicles including vintage cars, steam buses, tanks, tractors, ambulances, fire engines, unicycles, steamrollers, giant robots, helicopters, ships, penny farthings, beds and bathtubs. Phew! I'm worn out just reading all that! If you want to be up super early you can even watch the River Pageant that sets off at 8.30am, with Tower Bridge opening in salute at 9.25am. At 11am The Lord Mayor's Procession will set out from Mansion House and head for the Royal Courts of Justice where the Lord Mayor will give his oath before returning along Victoria Embankment at around 1pm. The day will end with a massive bang at 5.15pm when a colourful (and very loud) firework show on the Thames will light up the night sky over the City. This year the show is being brought right into the modern age with a downloadable app to help you get the most out of the Show. You can download the app here. IMPORTANT. Remember that if you arrive late you will not be allowed in under any circumstances, so prompt arrival for 9.30pm is an absolute must. 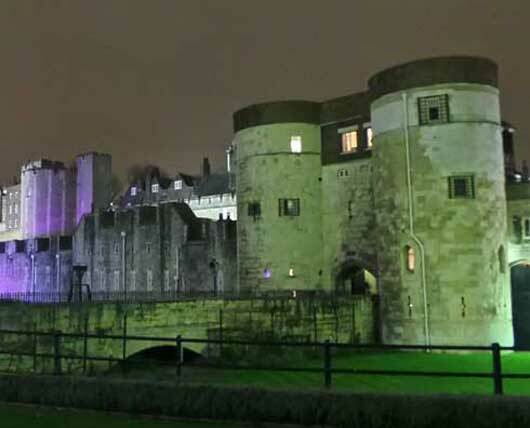 For over seven hundred years, in war and peace, come rain or shine, the Tower of London has been locked up each night with the ritual of the Ceremony of the Keys. The general public can attend this wonderful ceremony and it is completely free of charge, although you do have to apply for tickets well in advance. Once you've secured your tickets make your way to the Tower for 9.30pm and prepare to feel like one of a select few. To be inside the Tower after dark really is both a moving and a fascinating experience and one not to be missed. A word of warning though. It can get very cold inside the Tower, especially with a keen wind coming in off the River, so be sure to wrap up warm if you're attending during the colder winter months. 8am-5pm Monday-Friday, 10am-5pm Saturday-Sunday (except during services). The Church of All-Hallows-By-The-tower is one of the oldest churches in London and its roots reach down to the very beginnings of London, both literally and physically. The crypt beneath it has a fascinating exhibition in which you can trace the history of buildings on this site going right back to a Roman pavement, which looks particularly splendid, despite being close to 2,000 years old. Indeed, it has the distinction of being one of the best preserved tessellated Roman pavements in the City of London and dates from the 2nd Century. 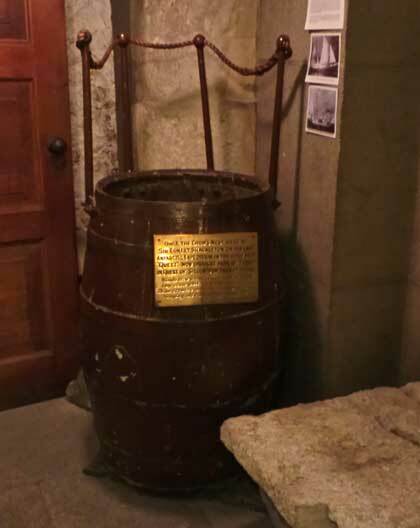 Another of the curiosities on display in the crypt museum is the actual crow's nest (pictured) from Sir Ernest Shackleton's "Good Ship" Quest. And, to end your journey burrowing through the layers of London's history, there's also a great cafe down in the crypt as well. The Great Hall, which is one of the many glories of this glorious building, will be closed for renovation between January 2015 and April 2015, so it might be worth moving this one to the top of your list of to-do's. 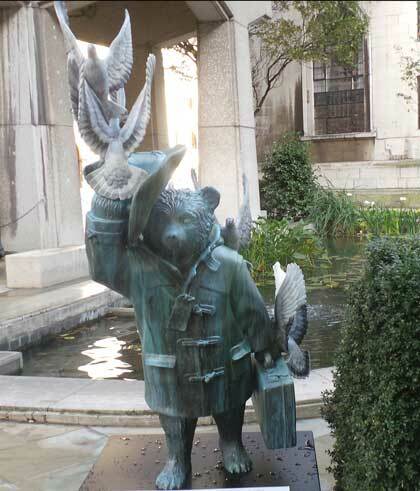 In case you didn't know, Paddington the movie is released this month and, to coincide with such an auspicious occasion, the Paddington Trail has been laid out across London in celebration. 50 Statues depicting London's most famous Peruvian visitor are dotted across the capital from Heathrow in the far west to the 02 in the far east. The one pictured is outside Guildhall. Others are located at an eclectic mix of London landmarks, such as The Royal Opera House, Museum of London, Horse Guards Parade, the Museum of Childhood and, of course, Paddington Station. The trail ends outside Selfridges, where Michael Bond bought a small bear on Christmas Eve 1956 and was inspired to create his duffle coated explorer. Open:-Tuesday to Saturday 10am-5pm. Last entry 4:30pm. It must have been an absolute nightmare being Sir John Soane's cleaner. I mean, this is a man who really collected things. All sorts of things. Oliver Cromwell's death mask - he got it. William Hogarth's Rake's Progress and Election Campaign , he bought them both. Flushing toilets, an Egyptian Sarcophagus, medieval stained glass - no problem, he crammed them all into the house he built in 1812 and, when that property ran out of room, he bought the house next door and continued collecting with a regularity approaching that with which most of us draw breath. And, thank God he did. Because, when he died in 1837, he left his house(s) and the collection to us, the nation - and, of course, any overseas visitors that happen upon it, as long as they didn't ask for any of it back - on condition it be open free of charge from that day forth. His house, really is one of London's treasures and you won't regret stepping inside and being pitched into a true example of an early 19th Century collector's house. In fact, the only thing missing is the letter from his cleaner in response to his decision to demolish the back wall, in order to bring in the sarcophagus of Seti 1st of Egypt, announcing "that's it, I quit." Full information on their website. Opening times vary depending on exhibitions. Wow, a second crypt this month! However, the crypt of St Pancras Church couldn't be more different to that of All-Hallows-By-The-Tower. For one thing, it has a decidedly crypty feel to it. After all, when it was first dug out of the cold London earth in 1822, it was intended as a place for coffin burials, which is exactly what happened down here until it was closed to further burials in 1854, by which time it had become the final resting place of 557 people. Used as an air raid shelter during the dark days of both the First and Second World Wars, it became a gallery space in 2002 and, ever since, has hosted exhibitions that "provoke and question, as well as art designed for contemplation". 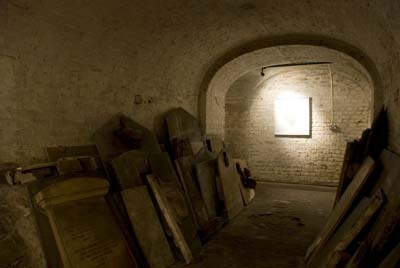 Given the proximity of the adjacent Euston Road, the crypt is a surprisingly peaceful place and it really does make an ideal backcloth for the thought-provoking artworks that adorn its walls. You can see an example of an artwork being displayed in the crypt by clicking here. This real pearl of a museum tends to get overshadowed by its better known neighbour, the British Museum, and its well known, and much visited, collection of mummies. The upside is that it doesn't attract the hoards that can make a visit to its famous neighbour a somewhat overwhelming experience. Whereas the British Museum houses the biggies - mummification after all was reserved for the elite few - the Petrie Museum collection is illustrative of the everyday lives of the average Egyptian and its 80,000 artefacts comprise one of greatest collections of Egyptian and Sudanese archaeology in the world. West Smithfield, London EC1A 9DS. Tickets cost between £12.50 and £19.50 (plus booking fee). 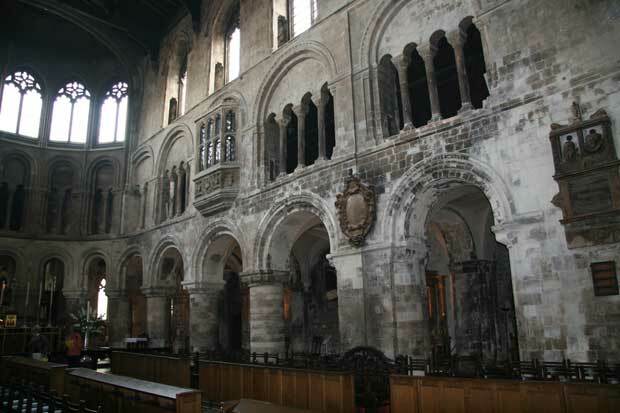 The Priory Church of St Bartholomew The Great dates back to 1123 and has the distinction of being the oldest parish church in London. It is one of the most atmospheric, not to mention spiriutally uplifting, places of worship that you could possibly imagine. It's also, as far as I am aware, the only City church to have its own resident theatre company. This month, from 8th to the 22nd November, that company, Little Spaniel Theatre, will be staging a Medieval Morality Play entitled Everyman , an allegorical verse play, written in the 15th century, which will be performed by candlelight and with music. It promises to be pure magic. 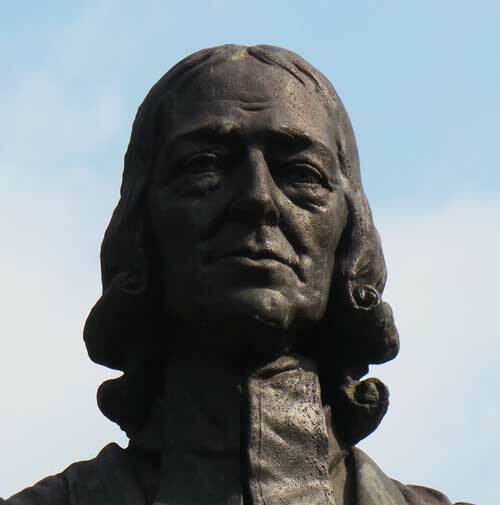 Set away from the centre of London, and located opposite the Bunhill Fields Burial Ground, where Daniel Defoe, William Blake and John Bunyan are buried, John Wesley's House is one of London's best preserved small Georgian houses. Dating from 1779, this is where the father of Methodism wintered for the last twelve years of his life (summers would find him preaching around the country). The house contains many of Wesley's own personal effects, such as his electrical machine and his study chair, and provides a vivid insight into the everyday workings of a small Georgian town house. With the upcoming release of the new Paddington film and the launch of the Paddington Trail, this months video is a delightfully whimsical look at the Paddington Trail around London.